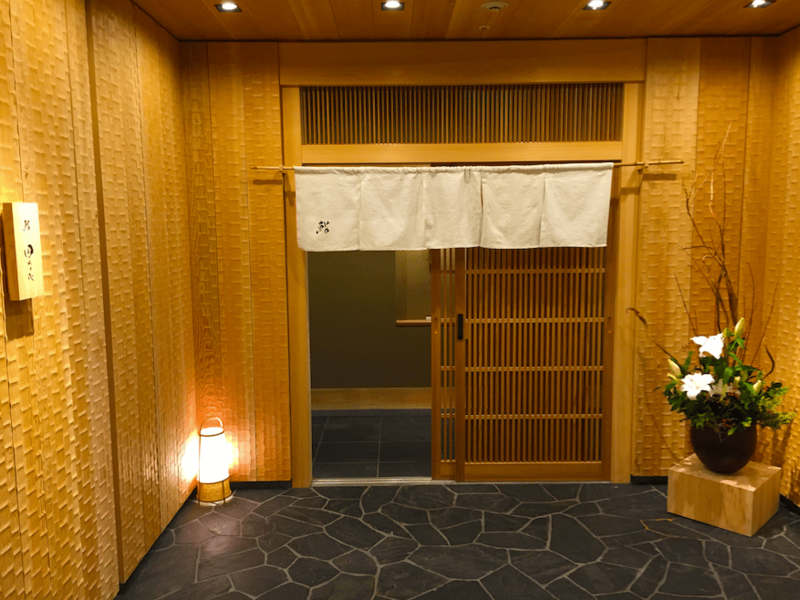 In 2012, Michelin published a one-off guide to Hokkaido’s restaurants. 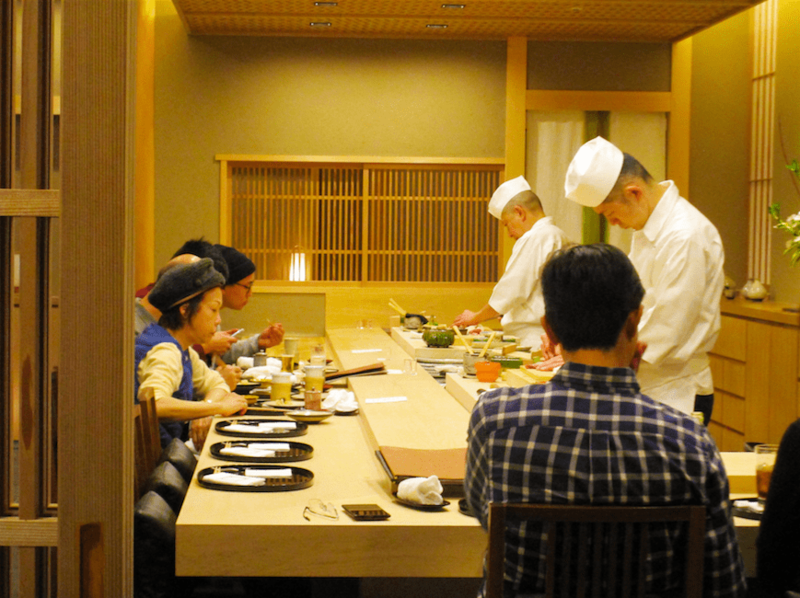 Among the four restaurants that were awarded 3 stars was Sushi Tanabe (鮨 田なべ) in Sapporo. Sushi is well-known for its predominantly raw ingredients and cooked rice. So, what makes a sushi restaurant like Sushi Tanabe so special that it deserves such an honour? Is it the freshness and quality of its ingredients? How much fresher can they get as compared to the restaurants at Nijo Market in Sapporo or even Tsukiji Fish Market in Tokyo? Is it then the presentation, service, ambience, innovativeness, etc? What makes 3-Michelin-star sushi? Driven by this curiosity, we decided to head there for dinner on our trip to Sapporo in December 2015. There restaurant had a serene, well-lit ambience. Seated at a cosy corner away from the counter where the chefs were working their magic, we still had a view of the counter and could hear the chefs’ conversations with diners. 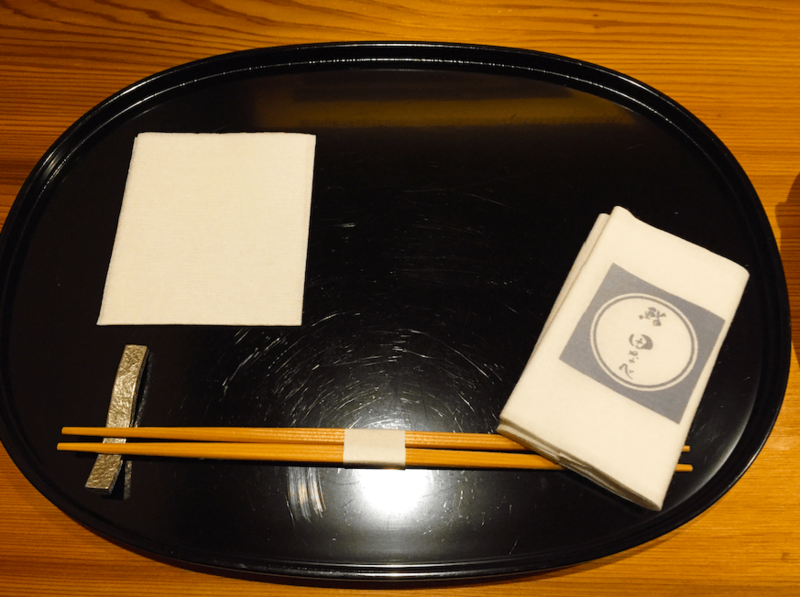 We had the set consisting of an appetiser, a sashimi dish, grilled dish, steamed dish, special seafood dish (we opted for this in place of dessert), 6 pieces of sushi and miso soup to round up the meal. In addition, we also ordered many sashimi items off the a la carte menu, such as sea urchin, Hokkaido king crab, tuna and scallops. Perhaps surprised by our ambitious appetite, the service staff had to re-confirm our orders with us about 2 minutes after taking it. Our orders came swiftly and efficiently. At one point we had several different sashimi dishes at our table. We (rightfully) consumed everything in the same efficient manner the dishes were served, which felt like the entire dining experience, while very pleasant, went by too quickly. Perhaps this is a characteristic of fine-dining sushi? Or maybe things would have been more paced out if we were seated at the counter, ordering directly from the chefs as we went along? We are generally more used to having a nicely paced out and prolonged experience when it comes to dining at a restaurant rated at this level. Overall, our experience at Sushi Tanabe was still a pleasant and enjoyable one. The seafood was incredibly fresh, dishes well-executed and presented, service was good with English-speaking staff, and ambience was very comfortable. However, we will not readily recommend the restaurant to others. It was an overpriced meal at around SGD$200 per diner. Also, the being unable to have a more prolonged and paced-out experience made it a little bit lacking to our liking. For a good sushi/sashimi fix in Sapporo, we would prefer to head to Nijo Market.